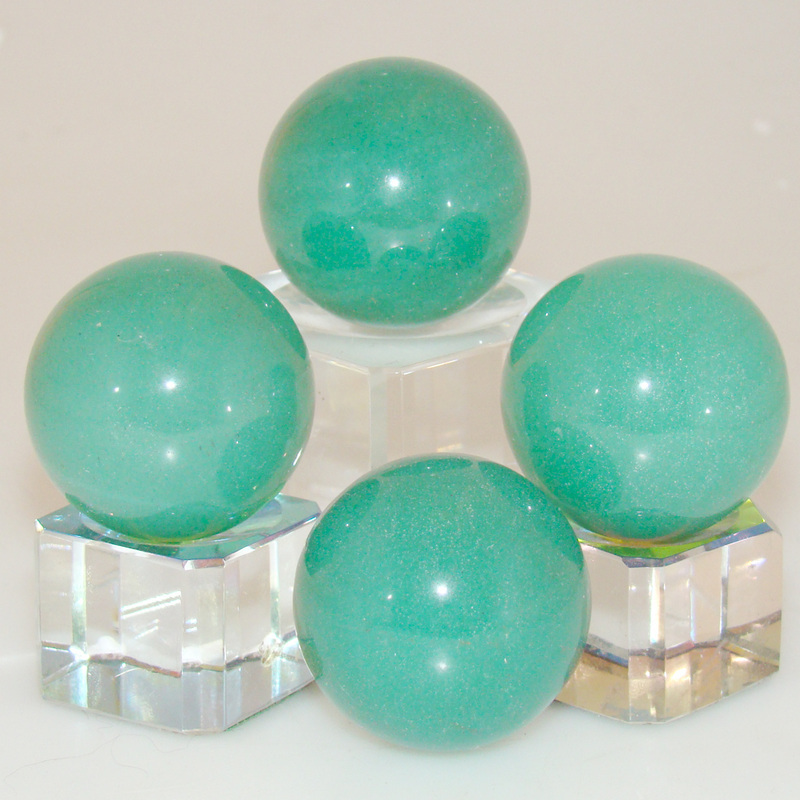 To order these items, please call or email us. This is not a stock Myterra finish. 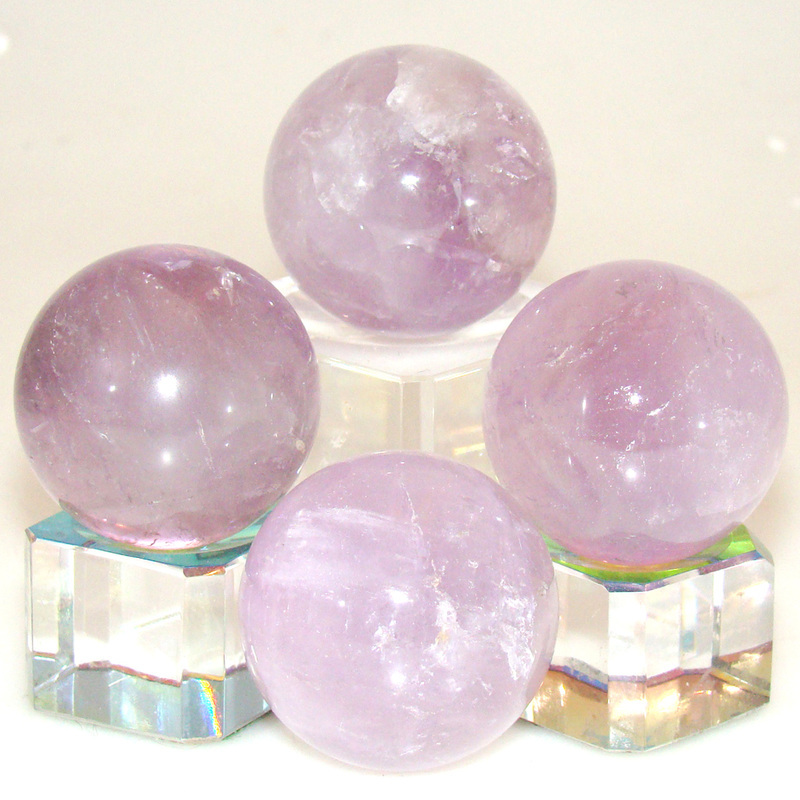 $7 Each Pull includes your choice from stones below. 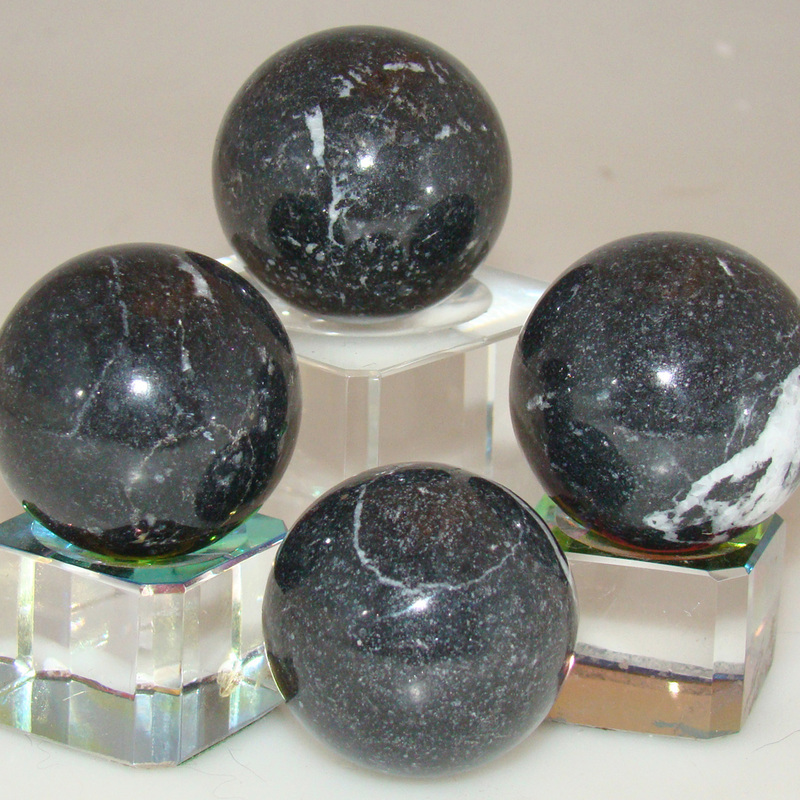 Must e-mail orders or call. See them on the bottom of this page. 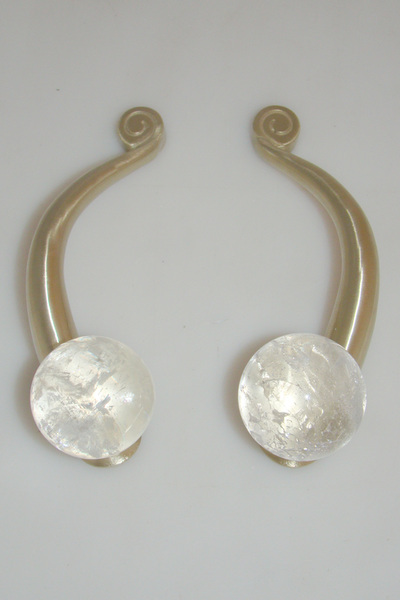 Crystal Quartz Cabinet Knobs on PVD Brass finish. 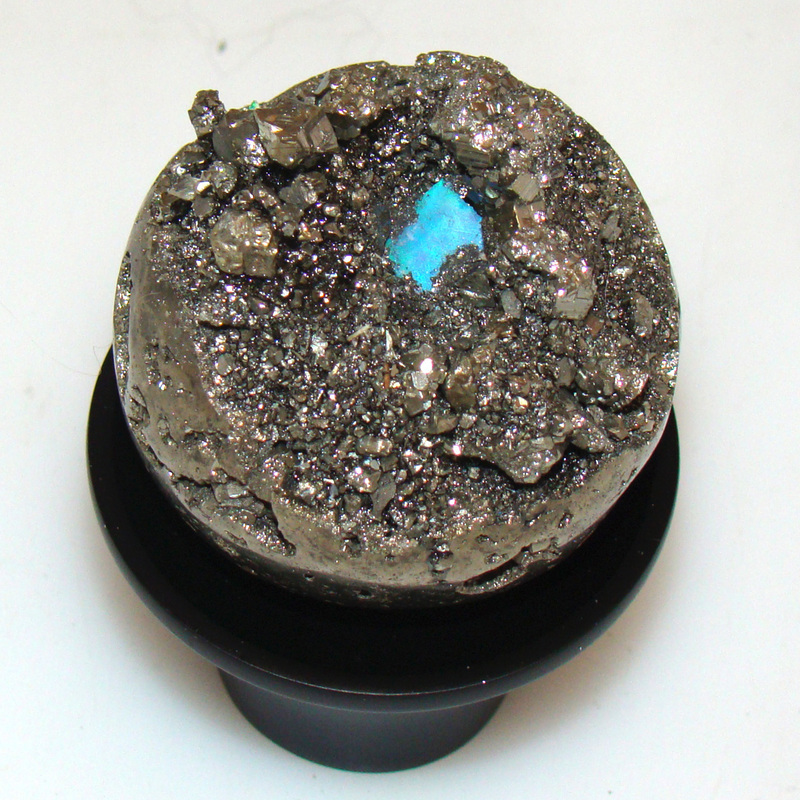 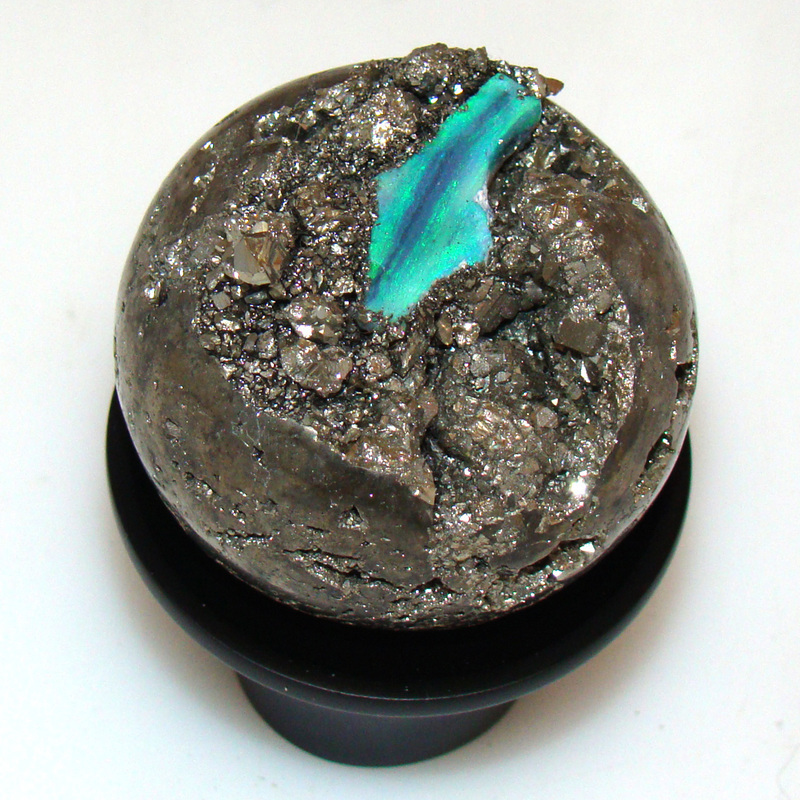 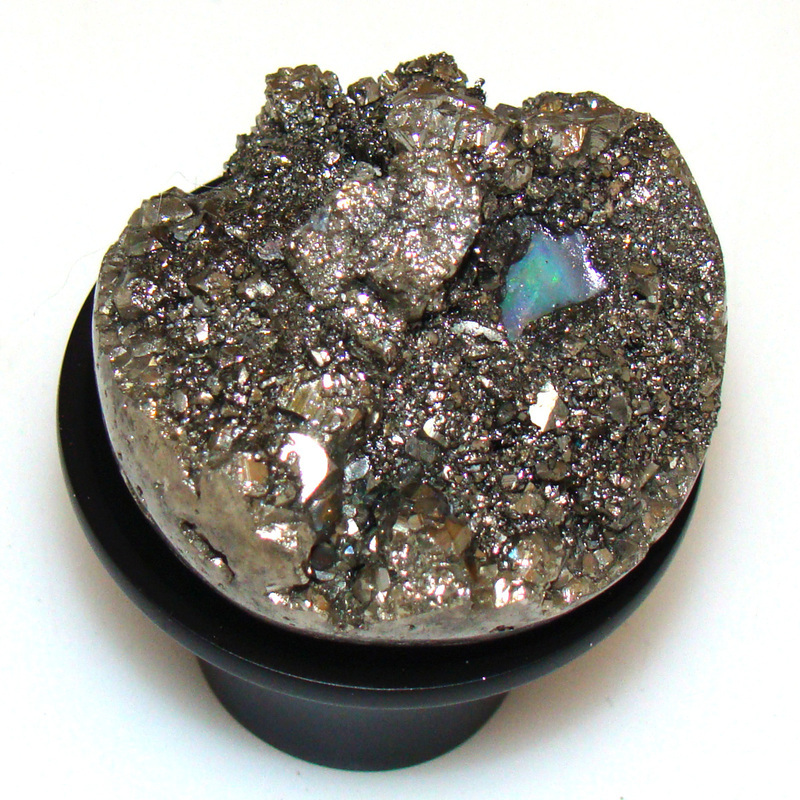 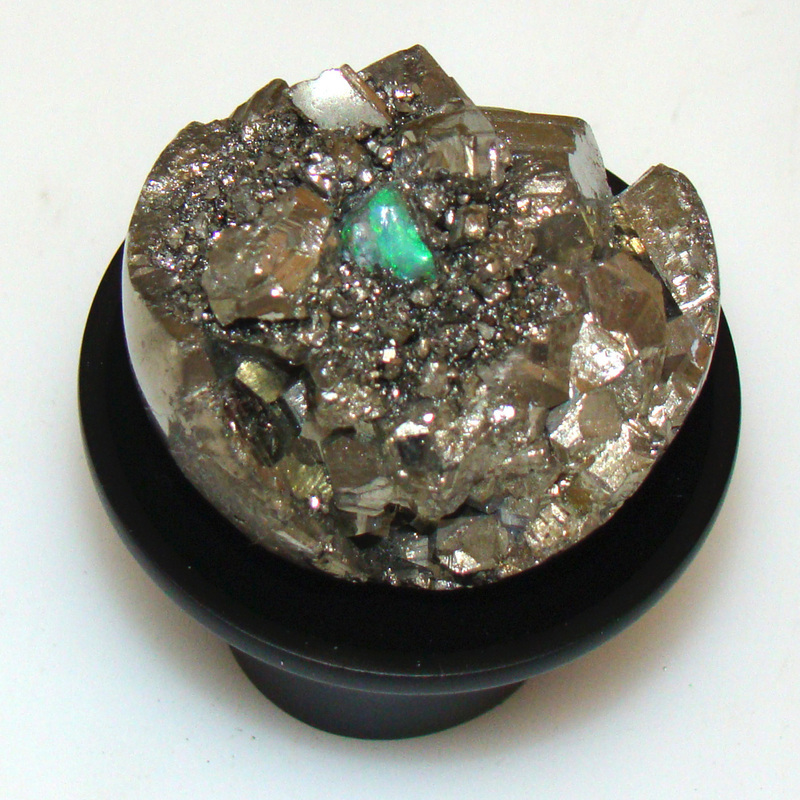 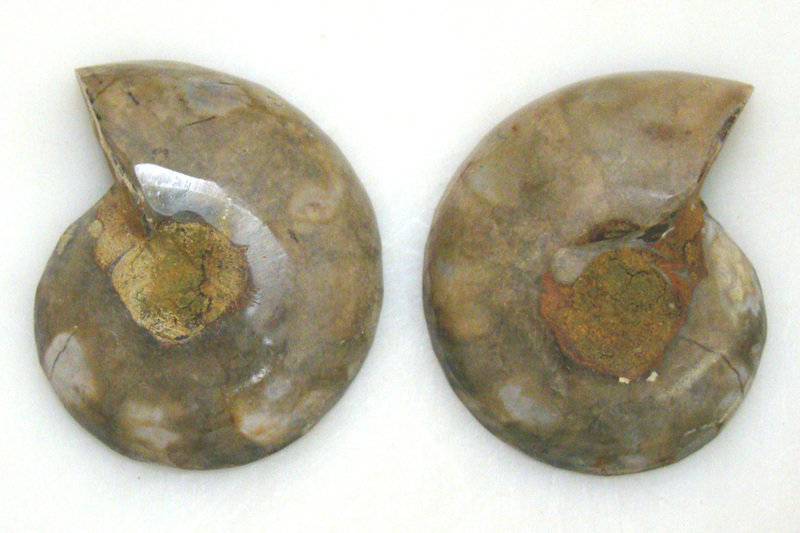 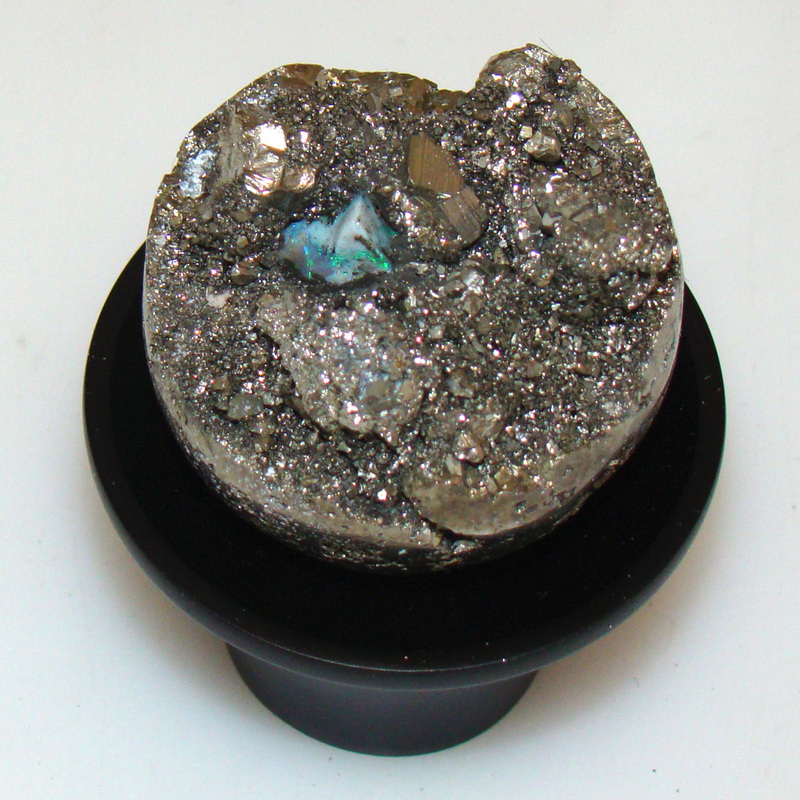 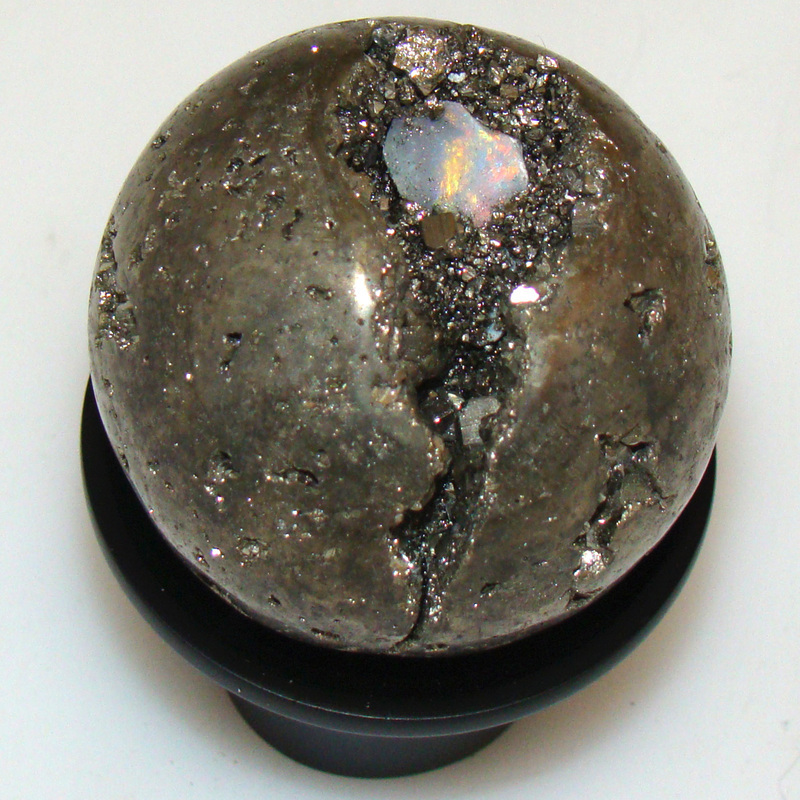 A customer exchanged these knobs for Labradorite after consulting with their designer. 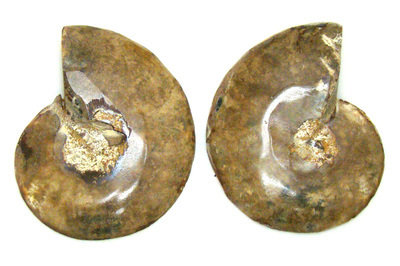 Now our $24 knobs are here for you to purchase for $10 each as a clearance item. 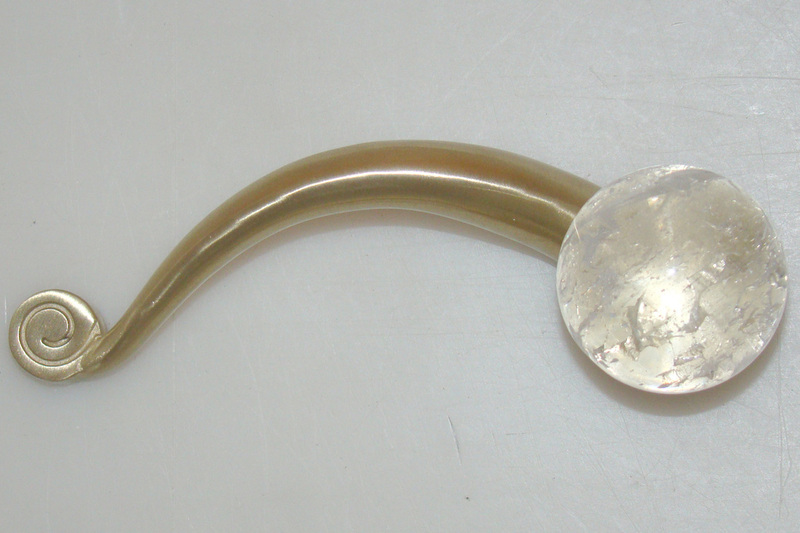 We have 36 in stock, made and ready to ship. 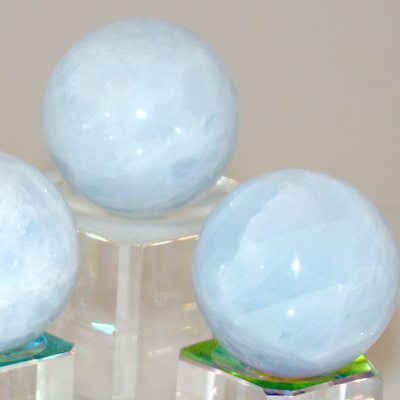 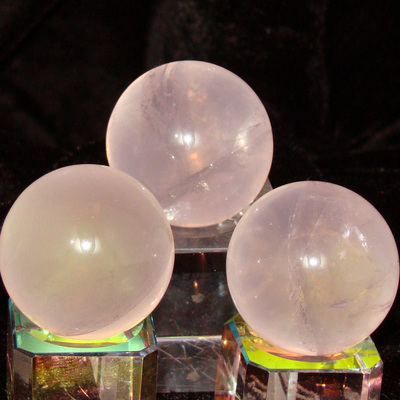 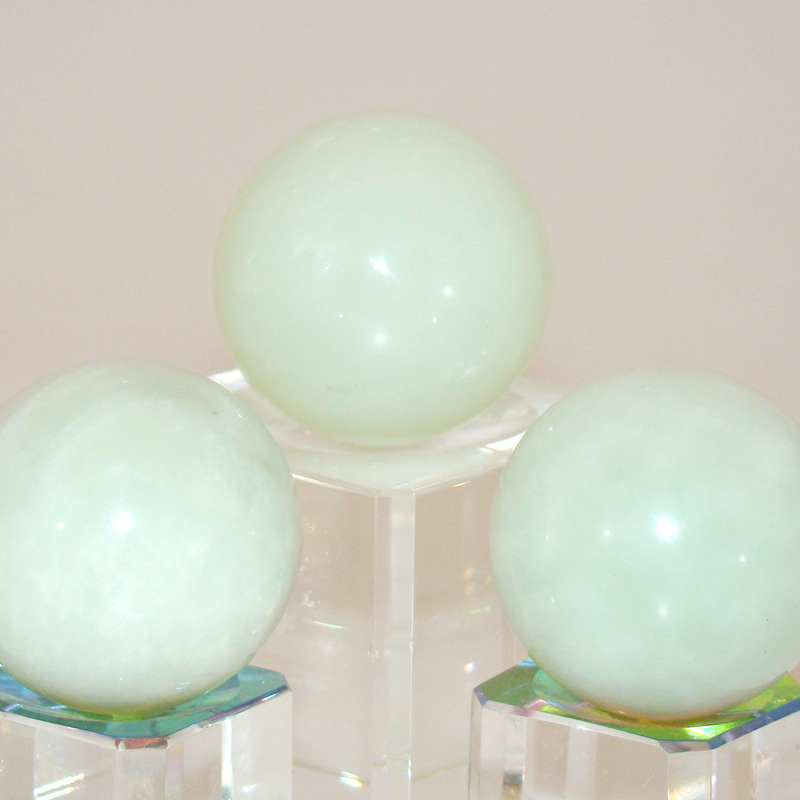 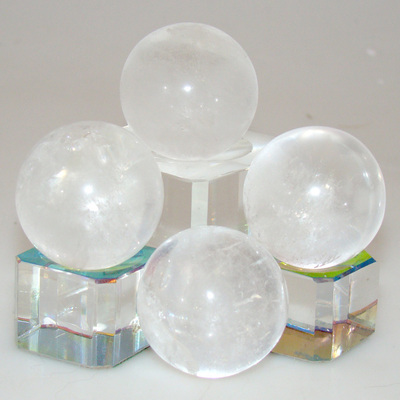 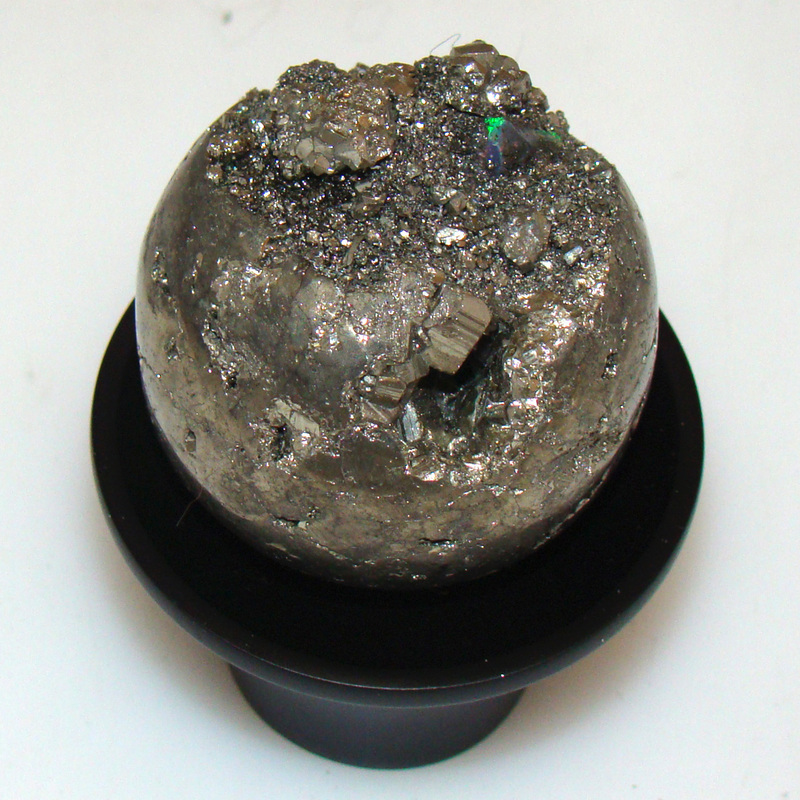 AA grade spheres. 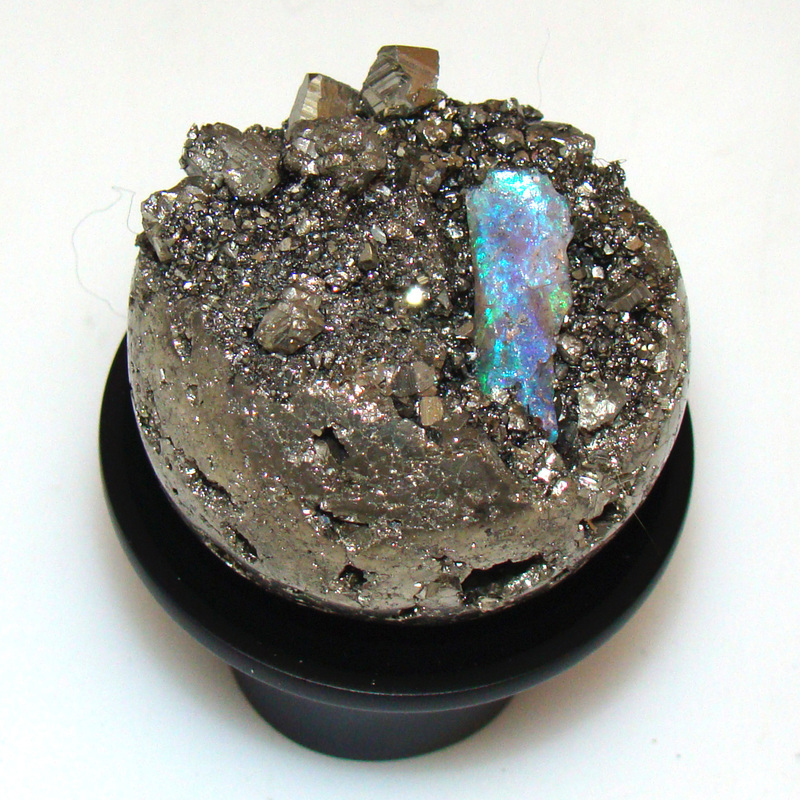 embedded with chips of Australian OPAL. Wine Stave Paper Towel Holder. 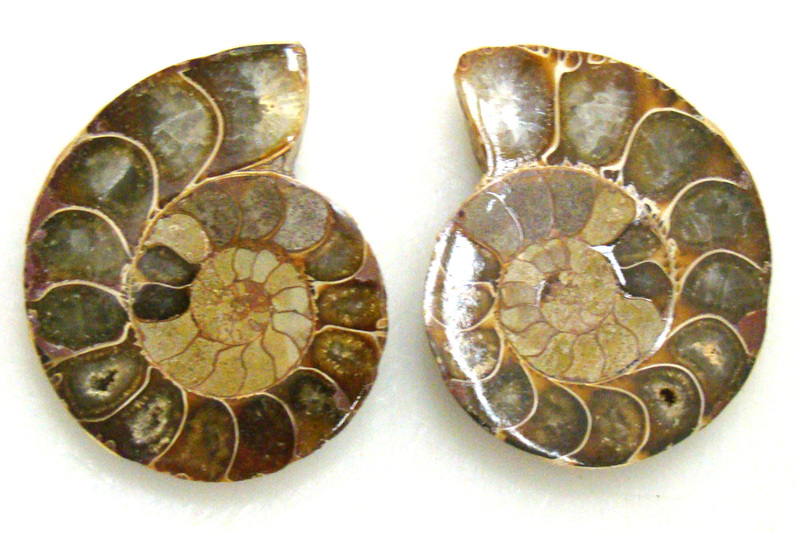 please call or send email. 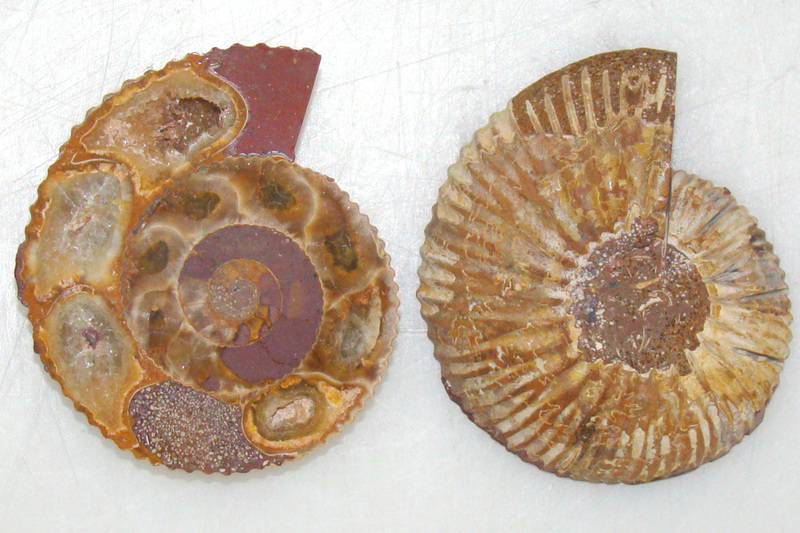 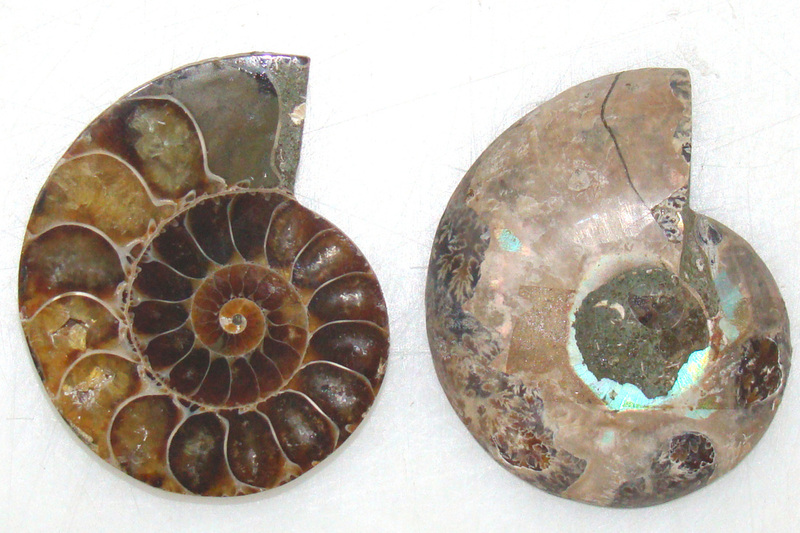 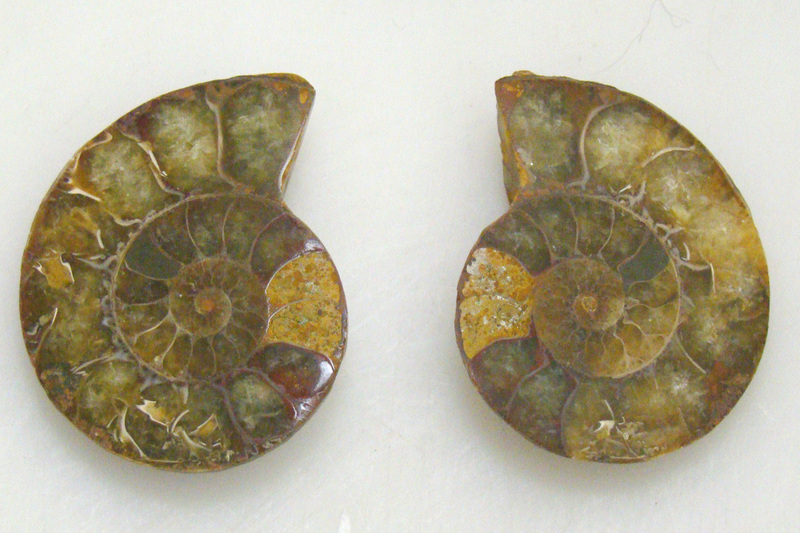 Ammonites fossils from Madagascar that are light and mixed colors. 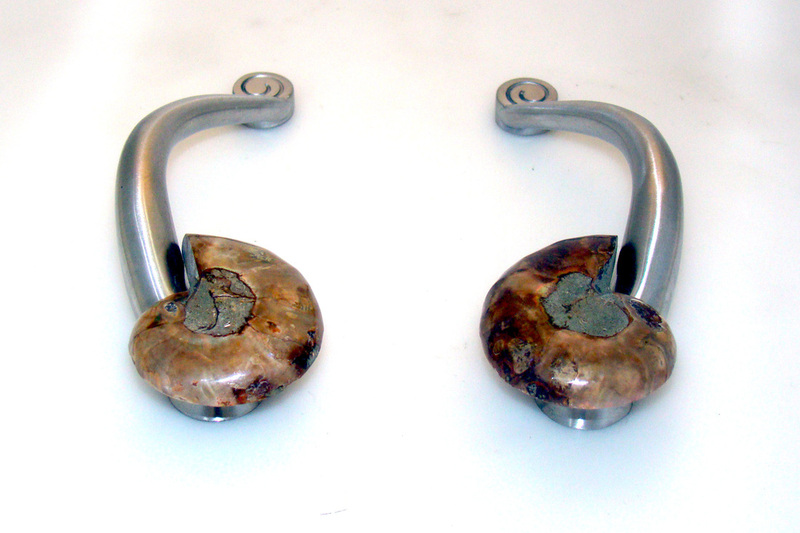 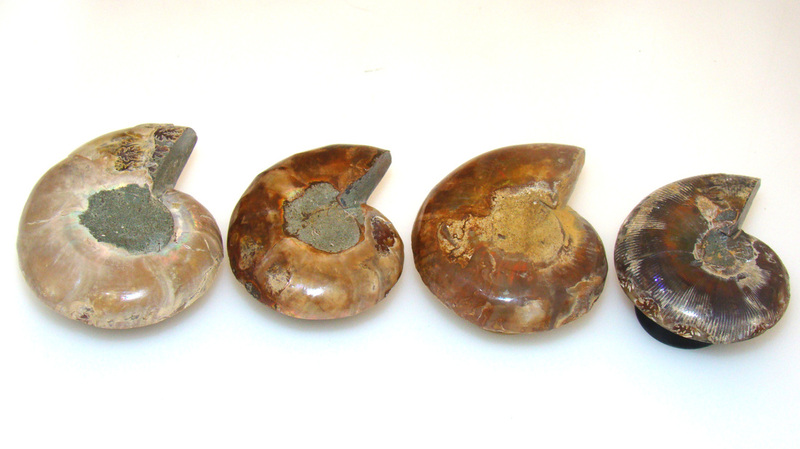 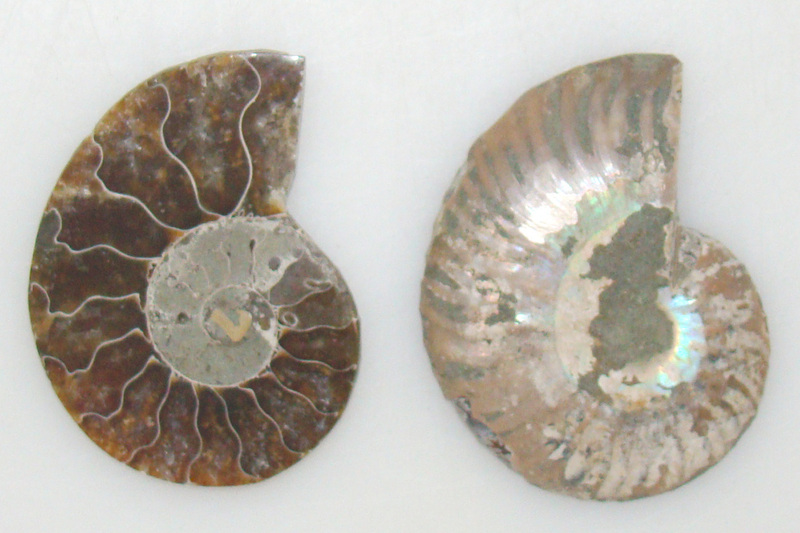 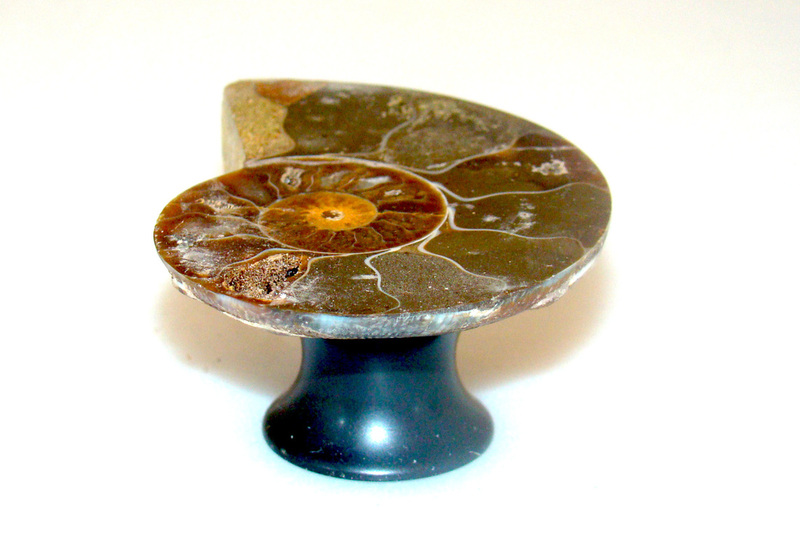 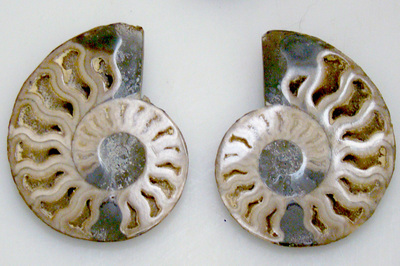 Examples of the Ammonites on our Cabinet Knob Hardware. 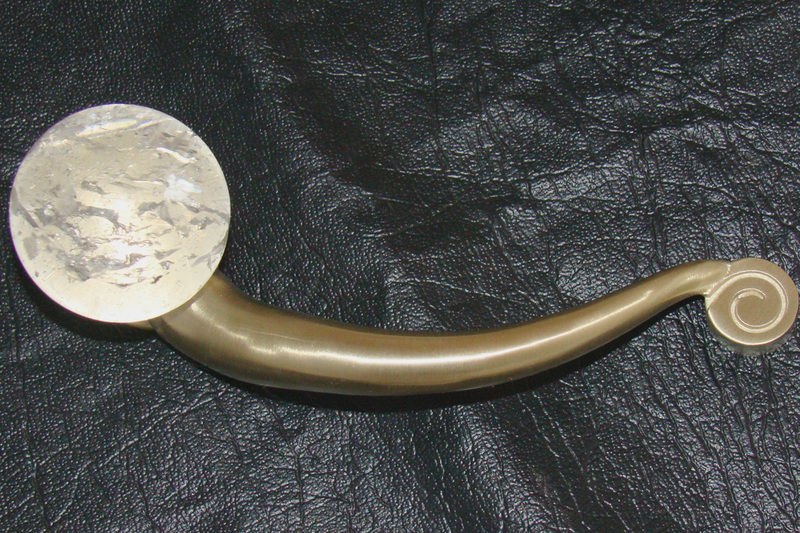 Satin, Brass, Oil Rubbed Bronze and Polished all are Stainless Steel. 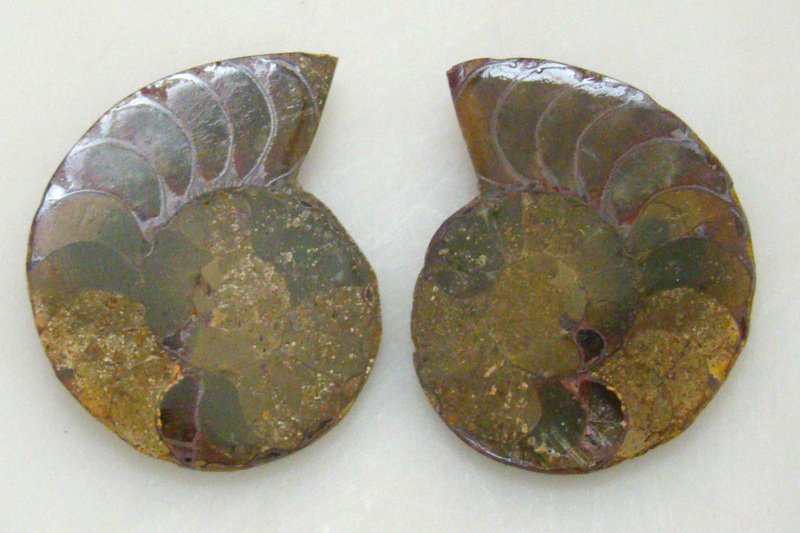 Pictures were taken without a flash under natural lighting. 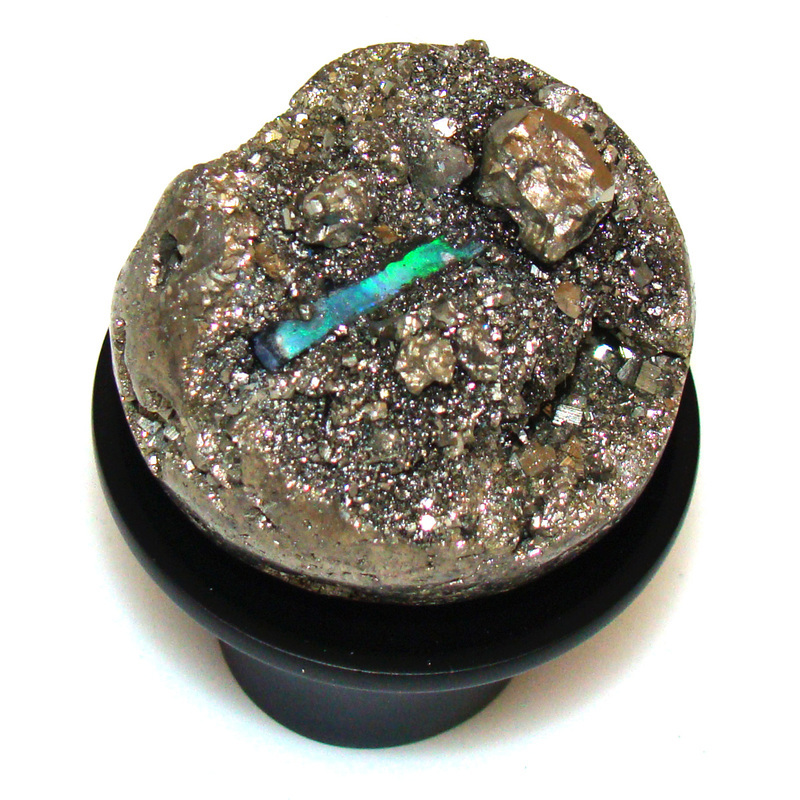 Colors are almost true to color. 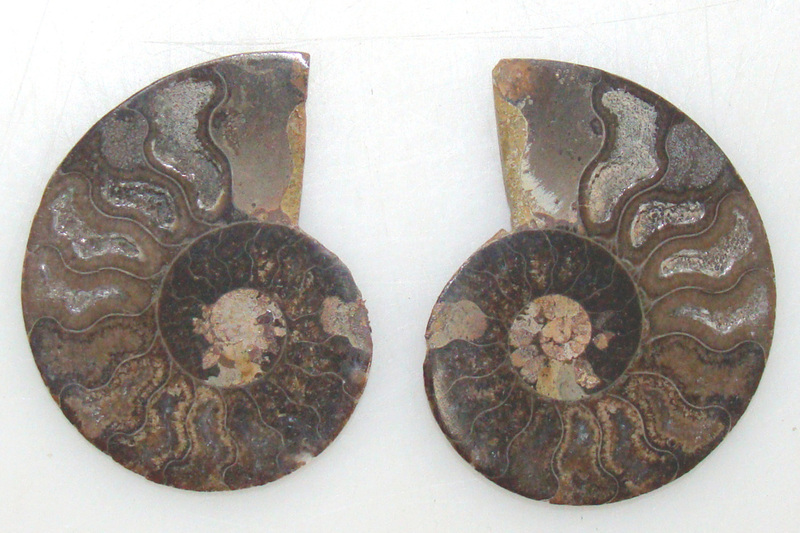 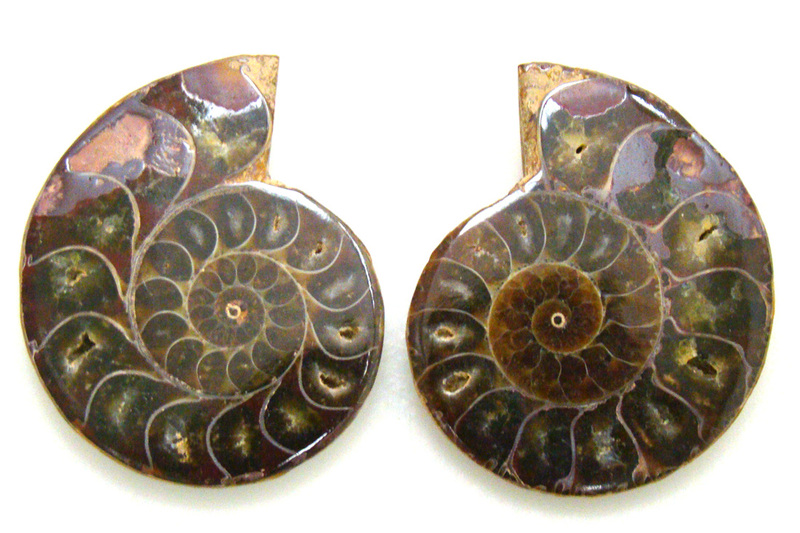 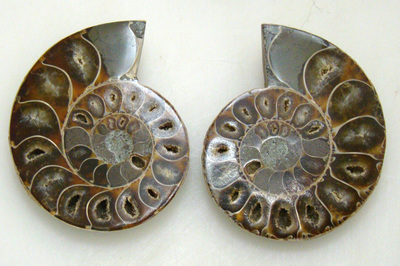 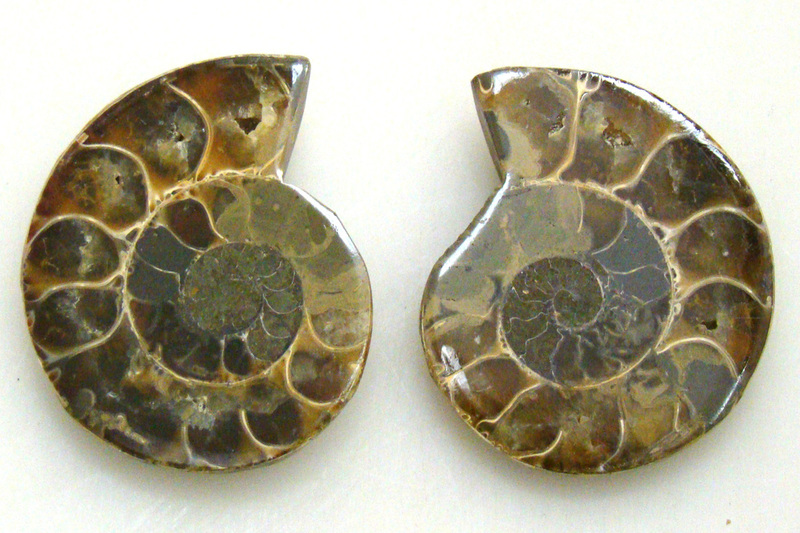 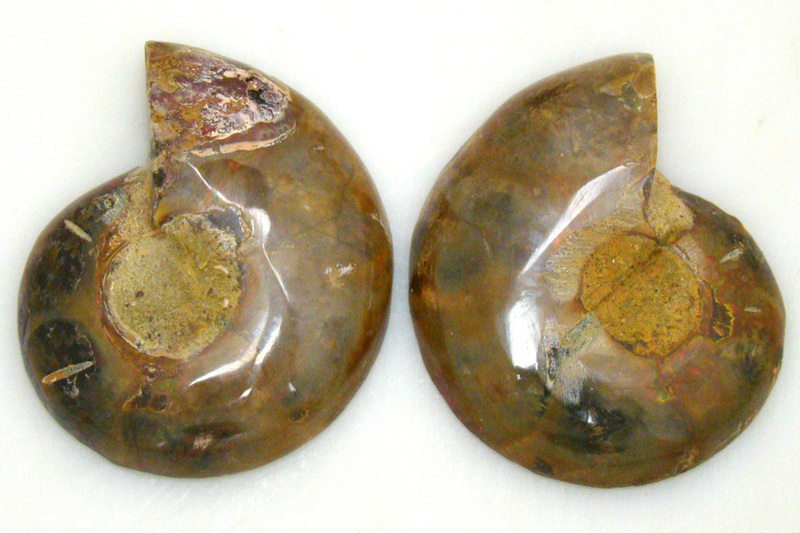 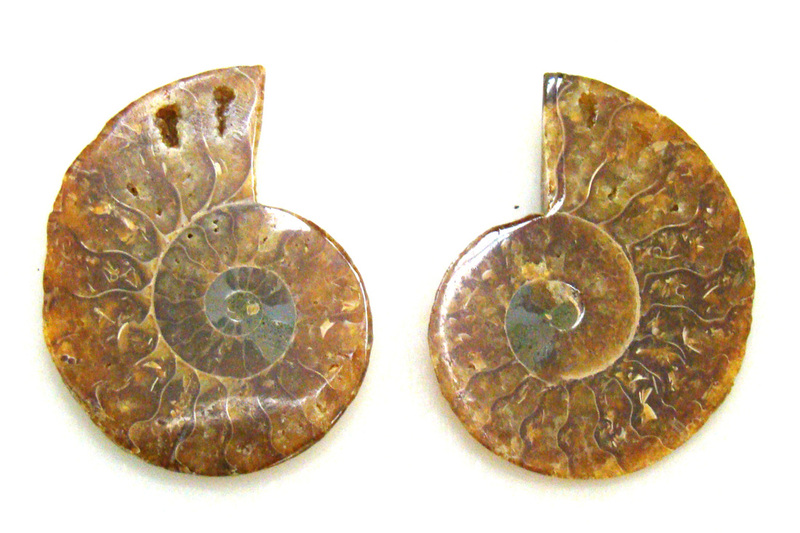 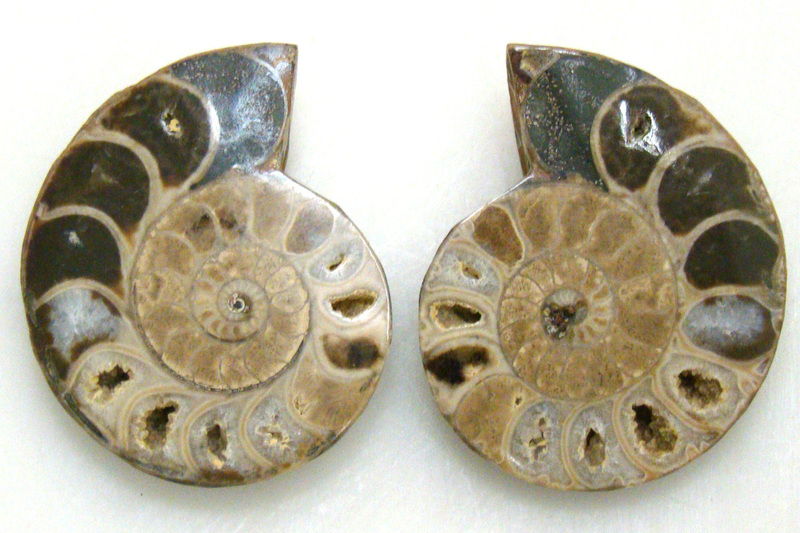 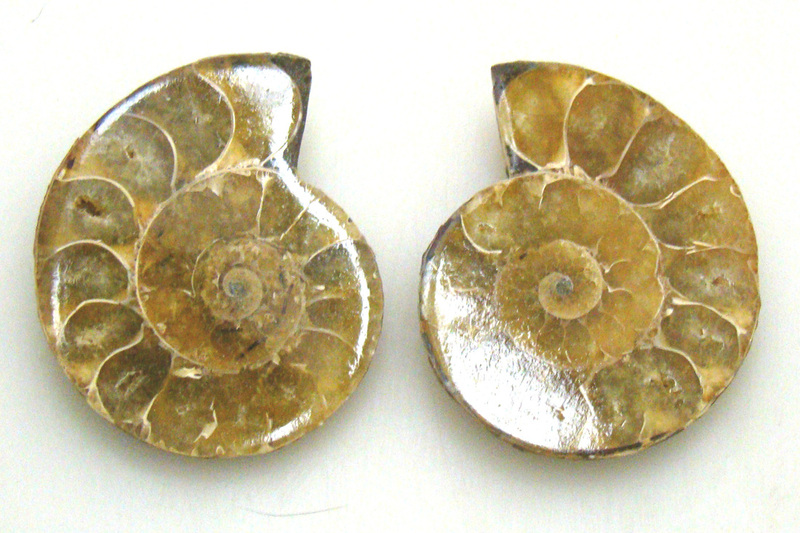 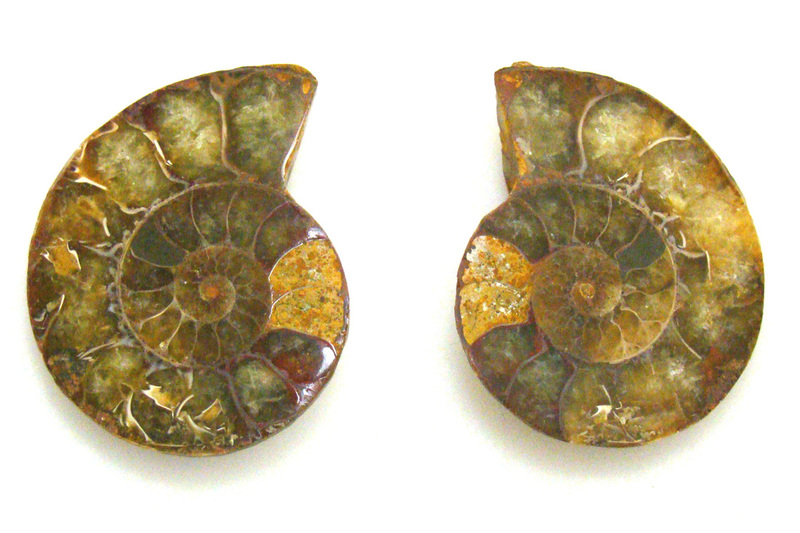 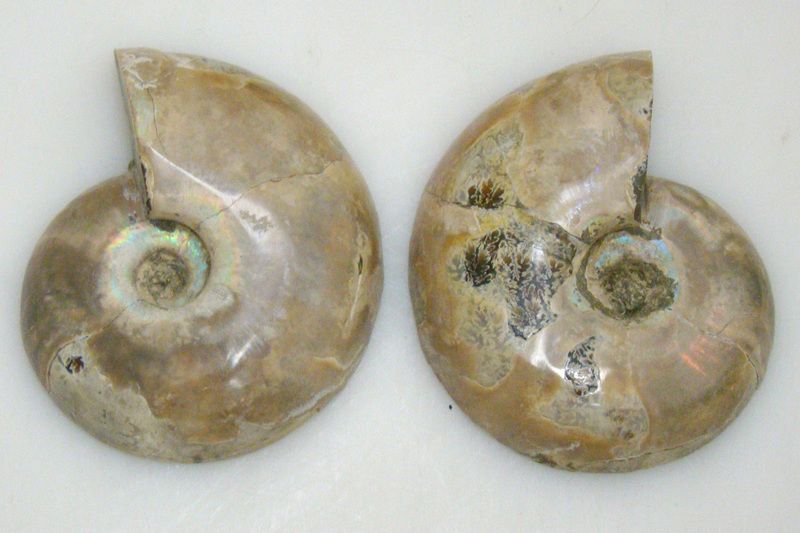 Ammonite Pair #5 - 47mm/ or 1 7/8"
The Ammonites below could be mounted with shell side up.